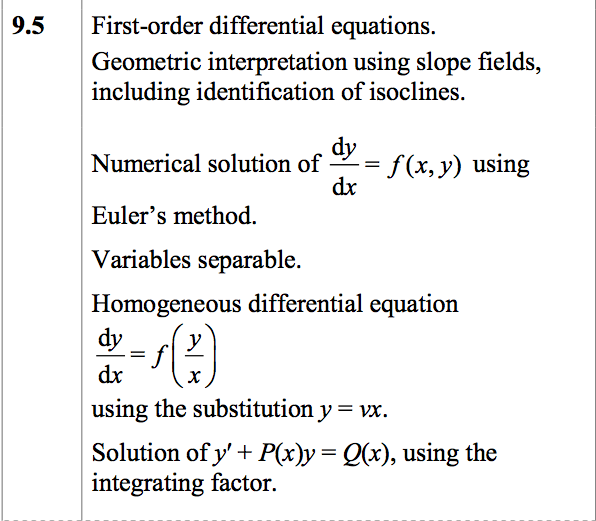 Week 21 (Feb 5th) Revision and Test. Week 36 (June 18th) Last week of school – review. Lesson 2. Lines in 3D. Ex 11H. Lesson 4. 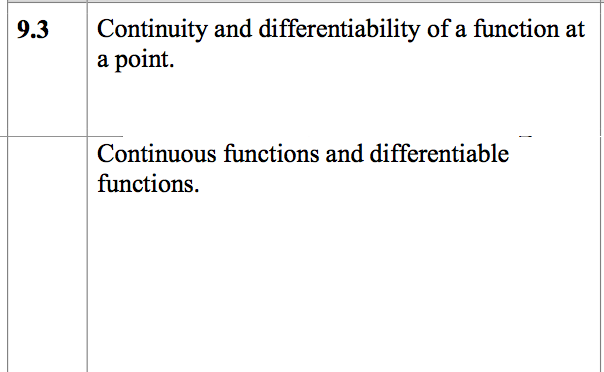 Dot Product. Ex 11K. 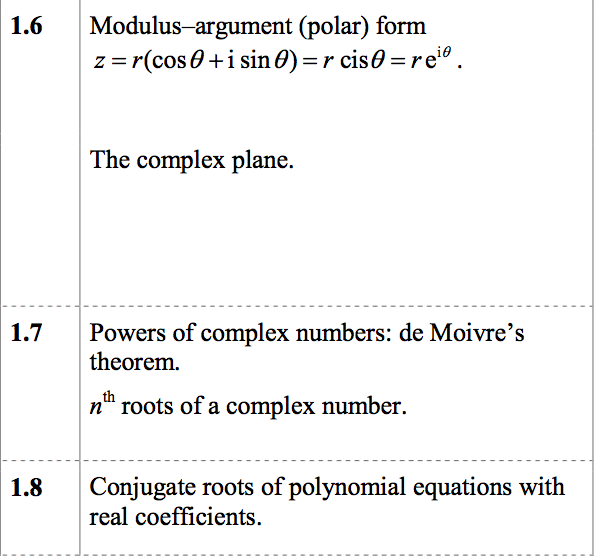 Lesson 3: Gaussian elimination for 3 planes. Ex 11R. Lesson 4: Review Vectors. 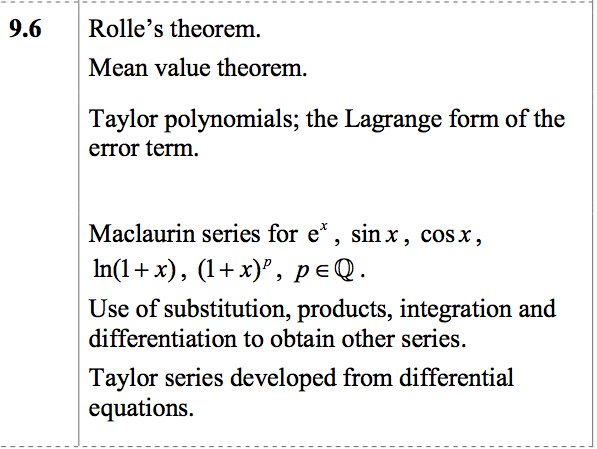 NOTE Vector Algebra not covered. 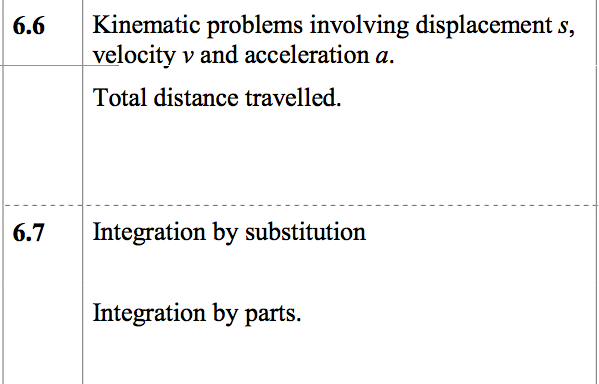 Geometric interpretation, Areas between curves x2, 7F, 7G Kinematics x2. 7K 4Q. Vol Rev x2 7L, 7M. 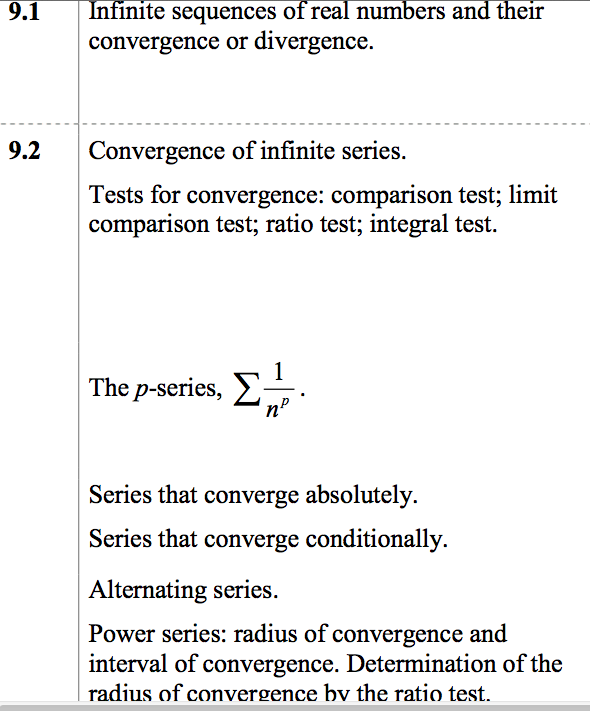 Integrating Trig. 9H-9J x2. Substitution x2. 9L, 9M. 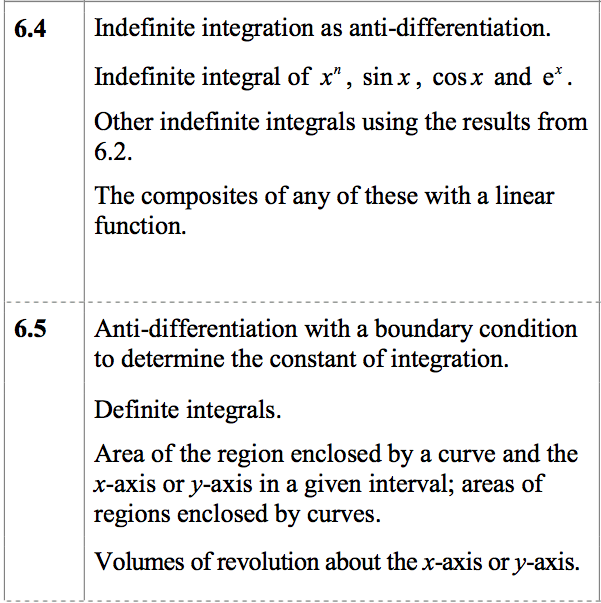 Integration by parts x2. 9N-9P. 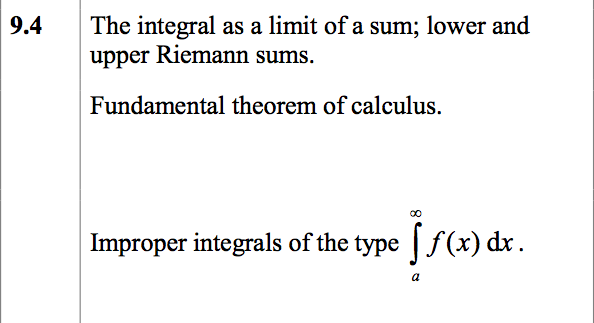 *Note* Trig sub and recursive integration still to cover.